Would aliens want to help us or hurt us? In a paper by researchers Seth D. Bauma and Jacob D. Haqq-Misra of Pennsylvania State University and NASA’s Shawn D. Domagal-Goldman, the prospect of extraterrestrial contact is analyzed from every conceivable angle. While this seems to be the least exciting option, detection of extraterrestrial intelligence alone would actually have a complex impact on humanity. In the realm of philosophy and psychology, knowing that we are not alone in the universe would change the way we view humanity and our place in the universe. The authors of the paper argue that the impact would be primarily positive, as humans are generally eager for answers to these curious, and sometimes existential, questions. They acknowledge, however, that some would argue that there would be negative consequences as well, particularly in the discovery’s effects on religion, particularly Christianity. SETI astrobiologist Paul Davies claimed that, since certain religions are predicated on the notion that humans are uniquely “saved” by a Messiah, religion can only be reconciled with the discovery of intelligent extraterrestrials by acknowledging the existence of other iterations of Messiahs on other planets, or explaining why humans are worthy of being saved while the aliens are not. Similarly, creationist Ken Ham recently stated that intelligent aliens most likely do not exist, but if they do, then they are going to Hell, as Jesus is specifically the savior of humanity. If the extraterrestrials are more advanced than us, and they are interested in helping us, then they would open our civilization to a whole host of possibilities. They could teach us more about math and science, provide solutions for seemingly intractable problems like hunger, poverty, disease, etc. While this option may seem like wishful thinking, it is consistent with the Sustainability solution to the Fermi paradox. The Fermi paradox essentially asks: if there are intelligent aliens in the universe, where are they? If there are technologically advanced beings who have achieved interstellar travel, why haven’t they tried to colonize Earth yet? The Sustainability solution asserts that it is in the nature of intelligent beings to expand exponentially, and as a result they do not last very long as this rate of expansion is unsustainable. The inverse states that, if there are intelligent beings that have been in existence long enough to overlap with us, then they would likely follow certain habits of sustainable populations. They would see value in and protect their ecosystem, and therefore would be unlikely to colonize for resources. They would also be less likely to expand for expansion’s sake, and instead only explore out of curiosity. If they have no need or desire to colonize or conquer us, then it is more likely that they would be cooperative and helpful. This option is fairly self-explanatory; like in the book/movie/television show War of the Worlds, the film Independence Day, and countless other works of science fiction, the aliens attempt to harm us but are thwarted, either by our human pluckiness or sheer luck. 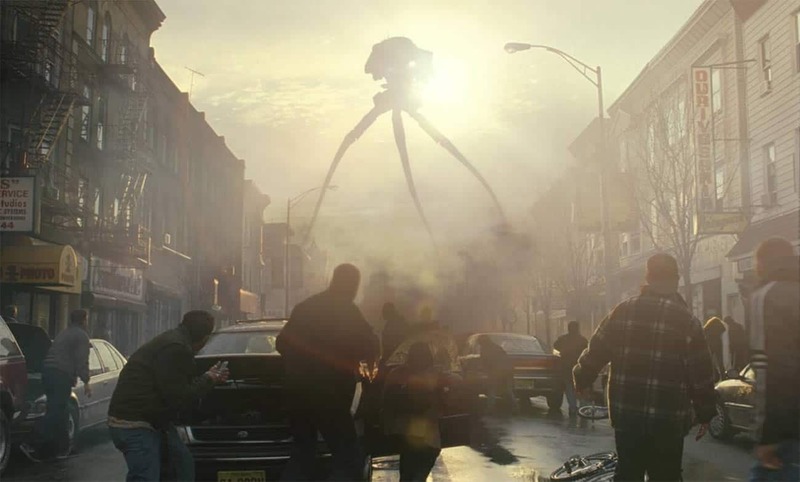 For example, they could be unprepared for the microbial infections found on Earth, like in War of the Worlds. This would mostly be beneficial as a moral victory, although there is also a possibility that we could benefit in other ways, such as reverse engineering their advanced technology. While we often think of alien invasion as a deliberate destruction of humanity, there is a chance that they could hurt us completely unintentionally by bringing unknown diseases to our planet for which our immune systems have no defense. Similarly, they could destroy our ecosystem even further by bringing invasive species, or destabilize society in a more subtle manner by bringing us advanced technology that we’re simply not ready for. It’s possible that at some point in a species’ evolution, they become more moral and less selfish. But if that happens, we haven’t seen it yet. As a result, it seems likely that selfishness is an inherent quality to intelligent beings. Geographer Jared Diamond discussed the reasons he believes that optimistic scenarios for extraterrestrial contact are unlikely: “The astronomers and others hope that the extraterrestrials, delighted to discover fellow intelligent beings, will sit down for a friendly chat. Perhaps the astronomers are right; that’s the best-case scenario. A less pleasant prospect is that the extraterrestrials might behave the way we intelligent beings have behaved whenever we have discovered other previously unknown intelligent beings on earth, like unfamiliar humans or chimpanzees and gorillas. Just as we did to those beings, the extraterrestrials might proceed to kill, infect, dissect, conquer, displace or enslave us, stuff us as specimens for their museums or pickle our skulls and use us for medical research. The authors of the paper concede that some astronomers believe that aliens would be friendly, but go on to say that just as many believe that aliens may attempt to colonize or enslave us, use us as a source of food, harm us in an attempt to evangelize, or even keep us for entertainment purposes, such as in zoos or gladiator arenas. This scenario involves aliens that are universalist in their ethics, or beings that have certain principles that have inherent value in themselves, and are not dependent on whether they are beneficial to their particular species (humans do not generally fall in this category). We associate universalism with benevolent, peaceful beings, as they would have no particular reason to harm us simply for being “other” to them. However, whether they intend to harm us or not would be completely dependent on their specific value system. The authors use the example of the novel The Hitchhiker’s Guide to the Galaxy, in which aliens are attempting to destroy Earth simply because they value infrastructure, and our planet is in the way of a hyperspace bypass. This one is also relatively self-explanatory. Whether they believe we are a threat to their species or not, if they are universalist then they may destroy us if they believe that we are a threat to other civilizations as a result of our tendency to step on any civilization that is less technologically advanced than we are, or a liability to the universe in general as a result of our tendency to destroy ecosystems.